"I didn't touch the door… It was already open." 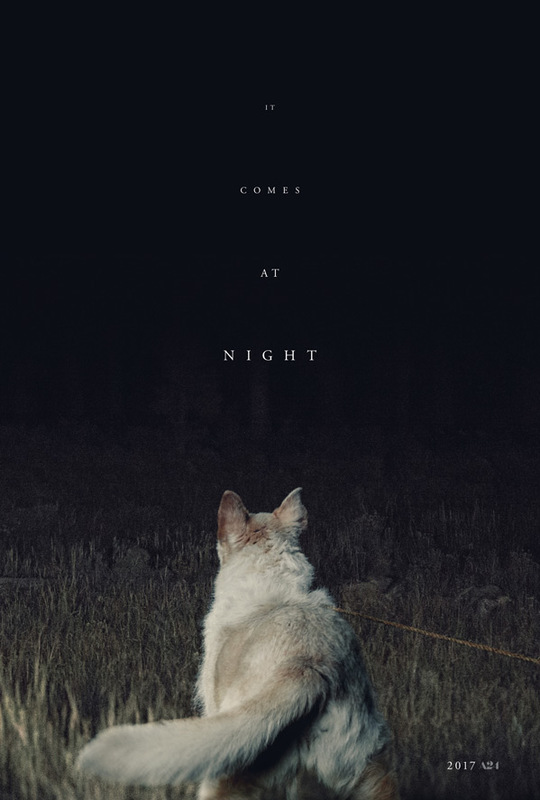 A24 has revealed the first teaser trailer for an eerie horror-thriller titled It Comes at Night, the second feature film from Trey Edward Shults, the director of last year's Krisha. Joel Edgerton stars, along with Riley Keough, Christopher Abbott, Carmen Ejogo, Kelvin Harrison Jr. and Griffin Robert Faulkner. The film is a horror taking place at a desolate home in the wilderness, where a father tries to protect his wife and son from a malevolent, mysterious presence terrorizing them right outside their doorstep. This is a very effective teaser that uses peculiar imagery and chilling dialogue to intrigue viewers, without actually revealing any of the scary stuff. They got my attention. Imagine the end of the world— Now imagine something worse. A father (Joel Edgerton) will stop at nothing to protect his wife and son from a malevolent, mysterious presence terrorizing them right outside their doorstep. Secure within a desolate home as an unnatural threat terrorizes the world, the tenuous domestic order he has established with his wife and son is put to the ultimate test with the arrival of a desperate young family seeking refuge. It Comes at Night is both written and directed by American filmmaker Trey Edward Shults, of the highly acclaimed Krisha previously, as well as a few other short films. A24 will release Shults' It Comes at Night in theaters starting August 25th this summer. Thoughts? Now THAT'S a well done horror trailer! Pretty cool! DIG. The poster is badass as well. Yep, won't be seeing anymore of this til it comes out! Well this is certainly intriguing. I agree with everyone else here. This is how to make an effective trailer. Just show enough to get your attention then stop. Are you paying attention major studios? This looks damn fine! Love Edgerton as an actor... By the way :watch the home evasion movie Hush from last year.